Here are some flash movies I have made. Some are for fun. Some are prototypes of things I've done for my job. My favorite is 'Painter.' You can upload your images even! Download Flash 8 Player for free. Attractor Balls - Simulating physics, as if all the balls were connected to each other with rubber bands. Test Application - When I was learning to use macromedia components. Later found out they were slow and sucky. SpaZ Game - Trying to port my dos game of the same name, haven't got too far yet. 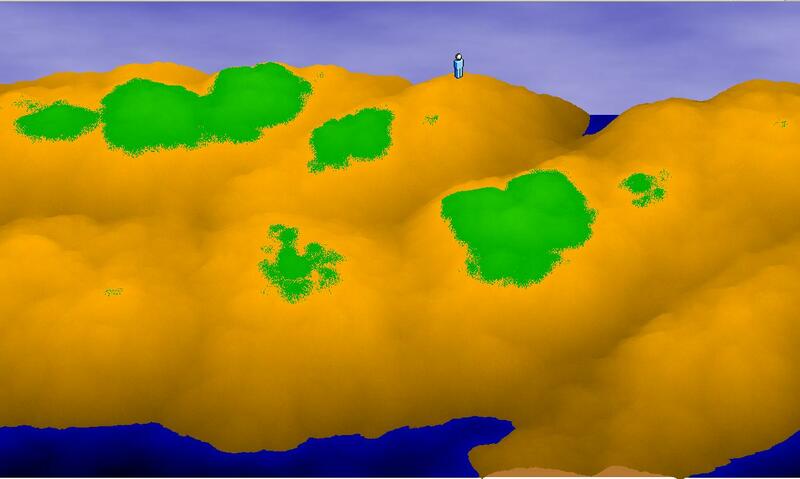 Tilemap Game Test 1 - Test for a tilemap based game. just barely fast enough. Flash (7 and below) wasn't made for this kind of thing. Network Simulation - Old version of our SimNetwork. Kind of neat, but no explanation of what to do. Bouncing Rectangles - One of the first few flash movies I ever made. Falling Boxes - Some falling boxes and stuff. Push them around with your mouse. Rider Game - A prototype for a more advanced game idea I had. Tilemap Game Test - Another test of a tilemap game. This one is much much faster thanks to some Flash 8 tricks. Haven't implemented as much as the flash 7 version, however. Painter - Using new Bitmap features in Flash 8, paint a picture, then upload it to the server. Landscape - thanks to this guy, generates a dynamic landscape using the new BitmapData.perlinNoise() function. See a Screenshot (1273x763 80KB) if you don't have flash 8, or have a slow cpu. Voxel - I don't know what voxels are. But this looks kind of neat. First Flash 8 Demo made with the real Flash 8 Authoring environment! Get ready for tons of overused filters!